How to decide, whether to appear for Level 1 exam or level 2? Level 1 or Level 2, which one to appear for? Should I appear for Level 1 or Level 2 of Yoga Certification scheme? 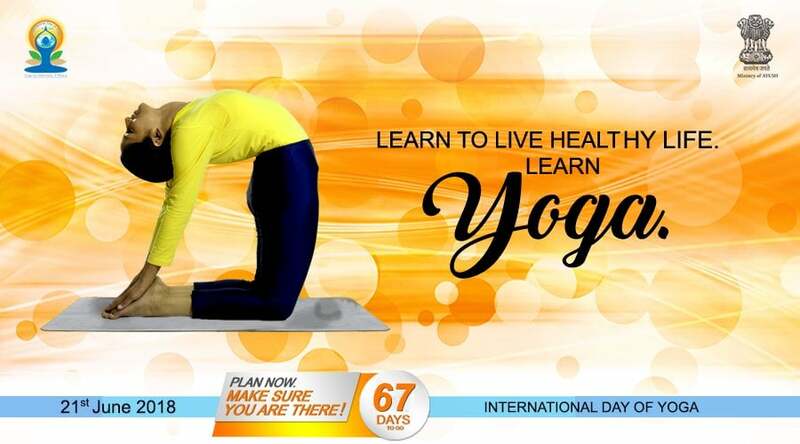 With growing acceptance and popularity of Voluntary Yoga certification scheme, more and more yoga professionals are registering themselves for Yoga certification exams. You can see the list published on AYUSH ministry website of qualified Yoga Professionals in both Level 1 & level 2 here (AYUSH Official Website Link). Currently, the certification is available for Level 1 (instructor) and Level 2 ( teacher) only. Level 3 & Level 4 are still being finalised and will be announced soon. Now out of these two certifications, anyone who is teaching for sometime feels inclined to appear for Level 2. Especially when appearing for Level 2 exam doesn’t require you to clear Level 1 first. At least not currently. Herein lies the problem. Many of such yoga professionals who would have easily aced Level 1 exam are not doing so well in Level 2 exam and thus are not able to clear it. So, in this article, you read about requirements in little detail and factors which decide your readiness for such. This was you can decide which level is right now more suitable for you. This Level is for instructor level. But don’t the word ‘instructor’ fool you. You still need good knowledge to clear this level. Classical texts, authors and their main points. Main dharshans of yoga philosophies. Asanas and their benefits & contraindications. Then comes the practical exam. Able to instruct them like a proper instructor. Having full knowledge of the asanas, which includes proper way of doing them, their benefits, contraindications and how to teach them. At least the practices listed in the syllabus should be clear. Don’t let these few lines on syllabus fool you. With time, the type of questions asked have grown from being generic to more specific, so that your knowledge is tested properly. Moreover in practical, there are three examiners, each from different school, so that you are tested more extensively by experienced professionals of the field. Level 2 exam is teacher’s level exam. Now the funny thing is that syllabus is not much different from Level 1 but the depth required from same texts is lot more. Now apart from, having cursory knowledge about most of concepts like level 1, you are supposed to know what is inside the classical texts and conceptual understanding of each yogic philosophy. Though the official guidebook does a good job of presenting this information in single book. It is good only for candidates who have already read the material, either in their teacher’s training course or in their graduation books. The book is not sufficient for someone who has not read anything other that the guidebook. Why, because the guidebook presents information in very concise format. Whereas the questions in both theory paper and practical are more about understanding your grasp on the concepts and ability to present them like a proper teacher should be able to do. Knowledge about shat kriyas, asanas, pranayamas, and different concepts of yoga. Ability to speak on these topics in clear and coherent manner for a given time. Ability to explain a yogic concept in laymen’s terms. Ability to prepare a class as per the ability of the students. How to decide the level to appear for? I’m sorry to say this, but if your exposure about concepts part is regular RYT-200 course( Yoga Alliance) and no further readings were done over the time that you are teaching, then you stand better chance at Level 1 exam. RYT-200 courses in their current format fall a little short in delivering required knowledge to comfortably clear Level 2 exam. And this level is only going to get tough so as to create better quality of qualified Yoga Professionals( Teachers). Also, if you have done you Masters in Yoga, but have little practical teaching experience, then also it will be little tough for you to clear the practical exam. You have been teaching for more than 2 years in company of more experienced teachers. After your course, you have spent considerable time in reading the texts and understanding the concepts of Yogic philosophies. You have done a Yoga certification scheme aligned teacher’s training course with time spent in practical skills also. If none of above applies to you, then best would be to appear for Level 1 and if that feels easy to you, then appear for Level 2. At least then you will know what lies ahead. Let me be clear about one thing: Don’t appear for Level 2 just because you think Level 1 is called instructor level. Clearing Level 1 with good marks is better than failing in Level 2 exam. Plus, you can appear for Level 2 anytime you think you are ready. Most of PrCBs now provide sample papers for you to practice and get a grasp of how real paper will be. If you still have doubt, you can ask me your queries at the yoga talk forum: Level 1 & Level 2.